By Harry Emerson Fosdick, Living Under Tension, 1941, Harper and Brothers, New York and London, pages 102 – 111. EVERYONE knows how commonly our high determinations peter out. We resolve that we will overcome some unfortunate habit, will have a lovelier family life, will deepen our friendships, will do better work in our vocations, or, thinking as citizens, that, God helping us, we will stay out of war. But such resolutions concern final ends rather than the means to them and our wills cannot deal directly with ends, only with means, so that, making idealistic decisions about ends and letting the means take care of themselves, we wake up to discover that the means have determined the ends. That this is a live matter now in man’s public, if not his private, life, must be evident to anyone who reads the current books. On every side one runs upon this proposition that the means determine the end, stated with urgency, almost as though it were a fresh discovery whose recognition and practical application were critically needed. A novelist, Aldous Huxley, writes a whole book about it. Publicists, like Gerald Heard, proclaim it, and from many diverse sources we are reminded that mankind is out for high ends — peace, security, justice, brotherhood, and what not — but the means used are not pertinent to the ends sought, and the means determine the ends. When Jesus, beside the well at Sychar, told the woman of Samaria that he would give her living water to drink, she, misunderstanding, said to him: “Sir, thou hast nothing to draw with, and the well is deep.” Today that could profitably be said to us. The objects of our dear desire do lie deep — international peace, economic security, social justice, inward spiritual resource, and profound Christian faith and life. To such ideal ends we profess devotion; but the means — there lies the difficulty. Sir, life says to us, thou hast nothing to draw with, and the well is deep. To make this clear to our imaginations, consider two illustrations, one from public, the other from private, life. We Americans need to learn that lesson by heart. We never can get peace by unpeaceful methods, or democracy by un-democratic methods, or liberty by illiberal methods. Always, the means we use must partake of the quality of the goal we seek. It is a towering falsehood that the end justifies the means. The profound truth is that always and everywhere the means determine the end. Turn now to an illustration from private life, the love that leads two happy and hopeful people into marriage. This is the common property of all marriages, that the goals the lovers have in view are beautiful. No two of them but aim at living out their lives in happiness and fidelity together. But how often these high and eagerly desired ends are missed, not because the aim itself is despised but because the means are mistaken ! We cannot get lovely homes by unlovely means or faithful homes by unfaithful methods. In a family the means we use must partake of the quality of the goals we seek. And sometimes the minister, guessing in advance that these two eager and romantic lovers do not understand that, wishes he could successfully warn them. Sir, he would say about abiding marital happiness, you have nothing to draw with, and the well is deep. Let us then deal with this matter whose ramifications run out to all our public and private living. In the first place, we start with ourselves in the church. Here is one reason for what Paul called “the foolishness of preaching” — when one makes a public address, desiring to stir the imagination and stimulate the finer emotions, ideals are much more thrilling to speak about than methods, just as a dining room is more kindling to the imagination than is a kitchen. The kitchen is the place of means, methods, techniques; the dining room is the place of ends and consequences. But in the church, too, the means determine the ends, and we should not let the foolishness of preaching blind us to the truth of this similitude in the spiritual realm. For preaching can be foolish. It can appeal to man’s finer emotions about ideals and goals generally agreed on as desirable, and the more eloquent the preacher is the more he is tempted to leave the matter there, satisfied with the momentary emotional effect. Today, for example, I could break into lyric utterance about the loveliness of childhood and mean every word of it. For childhood is lovely and to have children is one of the richest rewards of life. But most parents I know agree with that already. The trouble with most parents is not that they do not love their children, sacrificially wish them well, and desire to draw out from them the best that’s there. The trouble is that many parents do not feel all that enough to take time and pains to master the means and methods for carrying it out. The results are often disastrous, for in the training of children, no matter how fine our intentions are, the means determine the end. 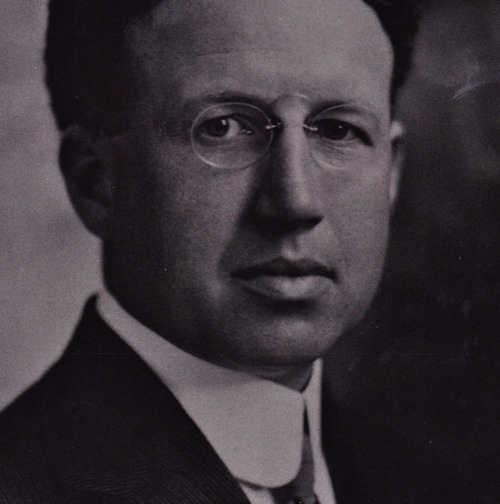 President Neilson, of Smith College, was once taken to task by some commentators on the ground that in an after-dinner speech here in New York he called mother love a failure. I heard that speech, and what he actually said was critically true. The trouble with mothers and fathers is not that they do not love their children but that too often they suppose loving their children will by itself train their children, and so they mistake the fine-intentioned end for the intermediate mastery of intelligent means. They adore their children but often they would not even join a parents’ class in a church to find out the wisest way to bring them up. As such parents, full of love but empty of method, stand before the unguessed possibilities of a new life entrusted to them, one well could say to them, You have nothing to draw with, and the well is deep. A young minister came to see me some months ago in a total collapse about his ministry. Now he says that all is changed since that interview. What, then, did we talk about? Not his aims and ideals. They could not be improved upon. But he was like a man, who, setting his heart upon getting from New York to San Francisco, had got on a train that was going to Spuyten Duyvil. His methods had no effective relationship to his ends. How many of us, do you suppose, are in such a case? You can see where we shall lay our emphasis before this sermon is done. The popular talk about the simplicity of the Christian gospel, as though it were an easy and artless matter, as the old phrase had it, “to come to Jesus,” is dangerous falsehood. In times like these to possess powerful spiritual life, “Hid,” as the New Testament says, “with Christ in God,” able to meet the storms and surmount the temptations of these troubled days, is not easy. That well is deep, and multitudes of people miss its living water not because of wrong ideals but because of mistaken or neglected means. They cry, San Francisco! when they say their prayers, but the daily methods of their living land them at last in Spuyten Duyvil. In the second place, consider some special kinds of moral and practical peril we run into when we neglect this area of truth. In sharpest contrast with what we are saying stand the folk who say that the end justifies the means. A long and tragic history that idea has had. So Caiaphas doubtless thought that the crucifixion of Jesus was not ideal, but, fearing that Jesus would stir up the populace, and Rome resent it, he judged that “it was expedient that one man should die for the people.” So the end, he thought, justified the means, even though they meant Christ’s crucifixion. Nothing in the human record has been so abominable that it has not been defended by that formula. Today we are dangerously tempted to surrender to it in public affairs. We Americans want two things supremely, democracy and peace. Those are desirable aims. Few things more worth serving invite man’s public devotion than a just and effective democracy and a secure and honorable peace. Who among us does not want them ? Well, then, if peace and democracy are so supremely desirable, is there anything we would not do for their sake ? So we travel the old path worn smooth by the emotions of centuries until we say we care so much for democracy and peace that we will fight for them. Now, if by “fight” you mean wage war, I beg of you walk around that formula for a long time before you let it fool you, as it has fooled millions of our predecessors. Is war an effective method for gaining or defending either democracy or peace? Once before we went into a war to make the world safe for democracy. Let no man impugn our motives. No nation ever had a higher aim in view. We, the people, by millions, were willing to make any sacrifice for that high aim. We started out to save democracy, and we finished in a world enjoying less democracy than there had been for generations. The reason is not difficult to see. War is not a democratic method. Modern wars must be fought under dictatorship. The day war is declared in any country, conscription starts, totalitarianism begins, liberty of speech and press is limited, and regimentation takes possession of the field. That is inevitable in any modern war. A nation that gets on the military train, crying, All aboard for the San Francisco of democracy, ends necessarily in the Spuyten Duyvil of dictatorship. The means determine the end. Were I to paraphrase Daniel Webster’s speech, I should pray that when for the last time my eyes behold the sun in heaven, they may not behold it shining on the tragic spectacle of a great democratic nation that took the warpath to save democracy, and ended by itself being no longer a democracy. Do not suppose that I think the problem easy, or that, because I am a Christian pacifist, I think any neat pacifist formula by itself alone covers the case. May heaven have mercy on all officials in democratic countries today, trying to handle wisely this desperate situation ! But let us, the people, keep steadily in mind this law, as deeply imbedded in the moral world as the law of gravitation is in the physical : The means we use must partake of the quality of the ends we seek. We cannot get peace by unpeaceful means, justice by unjust means, democracy by undemocratic means. The means determine the end. In the third place, let us note that in the recognition of this basic law lies one of the major secrets of strong personal character. Why have some of the world’s failures been in the realm of character such great successes that they shine now like stars in the firmament of man’s recollection? The almost prosaic reason is that they would not use evil means, that they steadfastly refused to do wrong that good might come. Could not Jesus have been a success — that is, escaped the cross, lived to a ripe old age, preaching impressively within limits of safety, and could he not have argued for that as an end so defensible in terms of long-time service that it would justify the compromise it cost ? Jesus’ greatness of character hinged on this matter we are talking of. He would not do evil that good might come. Living is like running for political office. The candidate says to himself that he wants the office for a good end and will use it, when he gets it, for public service. But as a means he puts himself under financial and political obligations to people a public servant has no business to be under obligation to. So when, with all his high aims and fair intentions, he comes at last into the possession of the office he sought, he finds himself caught in the trap of his own methods, the means he used now imperiously deciding the end he serves. In how many lives has that kind of experience proved ruinous ! In how many characters here is not that the temptation I It would be worth-while having spoken on this theme if one person were made to see that bad means are like a bad compass on a sea trip. I care not how lovely your intentions concerning the haven that you seek; that compass you are using as a means, day by day, will determine the end. Whose means are fair and spotless as his ends. Finally, let us come more closely to grips with this matter in reference to our Christian living. Why is that so unsatisfactory and ineffective ? The trouble is that when it comes to genuine Christian living, fine in quality, radiant in influence, steady in difficulty, victorious in temptation, aware of inward resources of spiritual power, we applaud the ideal but we take no pains with the means of reaching it. This is true in every realm of excellence. Stand in an art gallery before some great picture and see the people pass by. How often, watching their wandering, listless, unkindled eyes, one thinks, You have nothing to draw with, and the well is deep. One hesitates to make explicit the severe attitude toward oneself which this truth involves. Commonly we blame outward circumstance because our lives are not more rich. I am not belittling circumstance. It is tremendously important. It can be crushing. You may be sure that in a city like this there are at least three kinds of people who are not tempted to minimize the effects of circumstances — physicians, social workers, ministers. We see the disastrous result of evil environment too constantly to forget it. Nevertheless, there are multitudes of us whose poverty of spirit, whose thinness and unsatisf actor iness of life are not due to unfortunate circumstance. The main trouble lies within ourselves. We have nothing to draw with, and the well is deep. That is true not only of great books, great music, great art, but of the resources of spiritual power which God has made available in Christ. We cannot possess that merely by believing in it or accepting it as an ideal. We need constantly practiced methods — worship, prayer, quiet hours, directed reading, directed meditation, fellowship in the church, where the social forces of common aspiration come to our help. We must have something to draw with. Some families here today, if they take this in earnest, will have to alter their manner of living. For when a Christian family comes to New York it faces often a momentous decision. On the one side is a way of living which I hesitate to describe lest I be unjust. What shall we call it? The night-club, cocktail-hour, sensation-seeking, light, superficial method of life, not necessarily bad but not good either, and on the other side is a way of living that really puts the Christian life, the Christian church, and the finest resources and interests of the community at the center of attention. One of the most tragic sights one sees — how often have I seen it ! is a family moving to this city, keeping still the Christian name and the Christian ideals, joining the church and never consciously surrendering a single one of the old high aims and purposes, but surrendering to the practical day-by-day method of living that leads down, not up. Always the epitaph of such a family is foreordained : The means determine the end. This is the reason why the tragic evils of our life are so commonly unintentional. We did not start out for that poor, cheap goal. That aim was not in our minds at all. Of all the men who land in Sing Sing, who ever made Sing Sing his goal? Not the ultimate intention but the means and methods used lead to our Sing Sings. That is why the road to hell is always paved with good intentions, and that is why I am not celebrating high ideals, lofty aims, fine purposes, grand resolutions, but am saying instead that one of the most dangerous things in the world is to accept them and think you believe in them and then neglect the day-by-day means that lead to them. Ah, my soul, look to the road you are walking on ! He who picks up one end of a stick picks up the other. He who chooses the beginning of a road chooses the place it leads to. It is the means that determine the end.